Football fans welcomed a new era at ETSU Monday afternoon, ceremonially breaking the ground on the site of the future ETSU football stadium, a project that is expected to cost about $26.6 million. ETSU faculty, students, administrators and donors sat in seats situated around a makeshift stage at the far end of the parking lot beside the Basler Center for Physical Activity. The attendees sat in chairs facing a large backhoe anchored in a sloped patch of dirt. 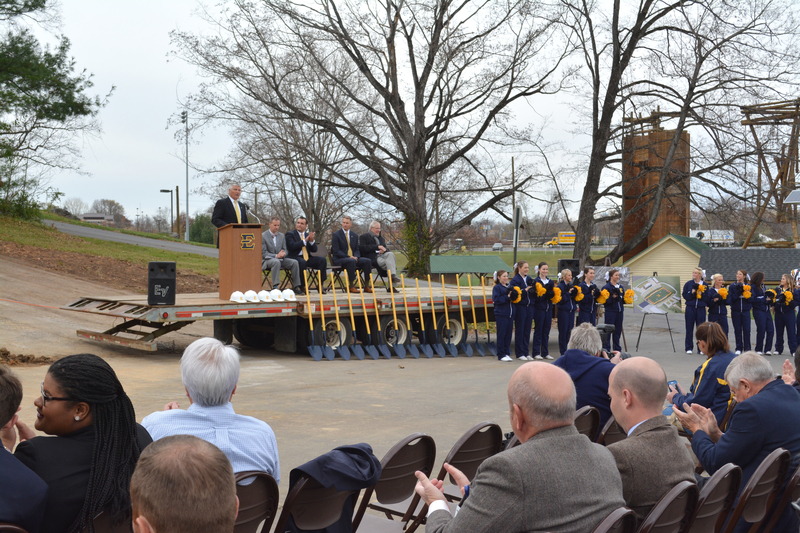 A series of ETSU-branded shovels stood propped up in a straight line in front of the audience. The stadium, which is expected to be complete by fall 2017, represents a large investment for the university, with about 31 percent of the funding coming from student fees and 45 percent coming from leadership investments, or gifts from private sources. Several major public donors have contributed money to the project, with Roadrunner Markets, Scott Niswonger and the Ken Simones Family of Indian Wells, California, donating $1 million each. Mike White, associate athletic director for communications at ETSU, said at this point, the university has identified a bit more than $20 million of the stadium’s budget. The start of the project also coincides with the end of ETSU’s first official football season since 2003, a season that has been defined by a small win-lose ratio — as of Monday, the team had a 1-9 record. However, the team’s record did not dampen the mood at the event. When head football coach Carl Torbush stepped up to the podium, he said ETSU’s flagship football team will act as a bedrock that will steady the program for years to come. 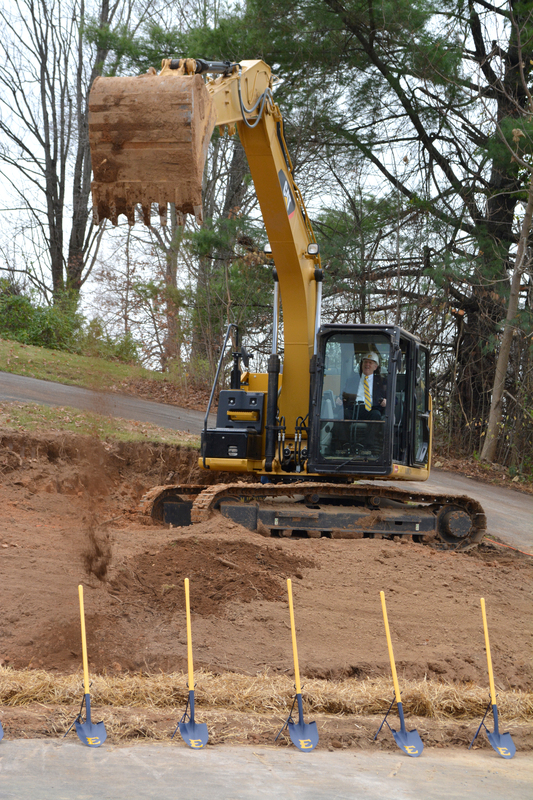 After several university administrators — including ETSU President Brian Noland and Director of Intercollegiate Athletics Richard Sander — made remarks, Niswonger dug the first hole. Lt. Gov. Ron Ramsey, who is an ETSU graduate, was in attendance and said the day marked an exciting moment in ETSU history. Ramsey said the state has provided the university with about $5 million worth of state funding to help the university build the stadium and hopes more money can be funneled into the project sometime in the future.